Join us for an evening filled with French delights! 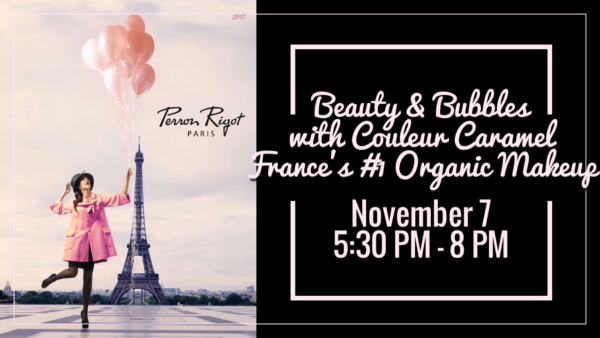 Come touch, feel and learn about France’s #1 Organic Makeup, Couleur Caramel. Indulge in French champagne, petite sandwiches, and pastries while enjoying a flash makeover. Attendees will receive a FREE goody bag! This entry was posted in Bay Area Estheticians, Ca Botana Skin Care, California Estheticians, Cirepil Wax, Continuing Education, Couleur Caramel, Esthetics, Makeup. Bookmark the permalink.